The incident began around 11:45 a.m. when a man walked into the building's lobby with a bag that he said contained a bomb. He was detained and roughly 200 people were evacuated. 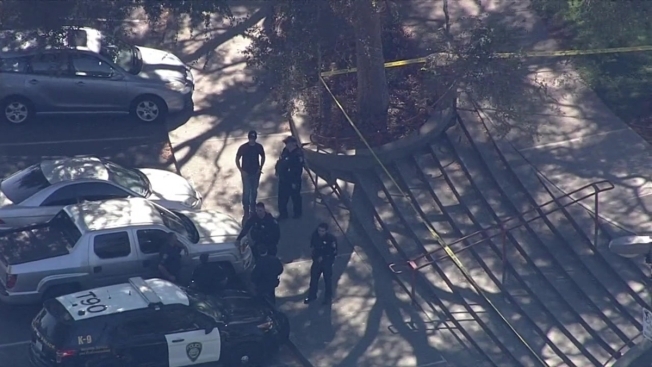 Union City police have arrested a 37-year-old Hayward man who allegedly became upset with staff at city hall late Wednesday morning and made incoherent comments suggesting that he might have had a bomb in his bag. Police learned of the situation around 11:49 a.m. and evacuated the building the police department shares with city hall in the 3400 block of Alvarado-Niles Road. The suspect, Eleno Sinay, was escorted outside and detained by police. "He got upset for some reason and then made mention that he had a possible bomb," Sgt. Steve Mendez said. "Since the Police Department is downstairs we went up and detained him immediately." With help from the Alameda County Sheriff's Office's bomb squad and BART police, authorities checked Sinay's bag. By around 1:50 p.m., they determined that it didn't contain any kind of explosive device. Sinay was arrested for making a false report of a bomb as well as an outstanding misdemeanor warrant. Roughly 200 people were evacuated during the incident. Services at the front counter of City Hall were halted until the area had been deemed safe.